A week ago, we featured a fresh, visually stunning Hungarian music video by Kerekes Band. 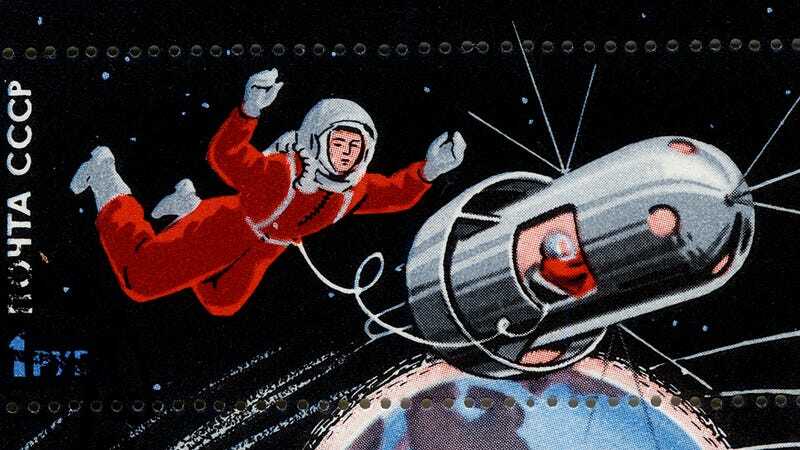 The creator of this well animated video used Soviet stamps, postcards and posters from the 60s and 70s to create good-looking vintage space scenes. To show how awesome these little printed images were, I scanned a few items of my personal collection of stamps, matchbox covers and postcards. Hope you enjoy!